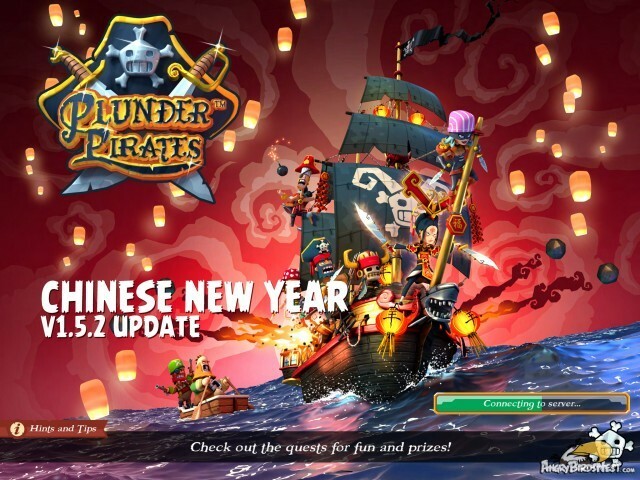 Plunder Pirates is celebrating the Chinese New Year with a massive update for iOS that contains tons of new content, troop enhancements, feature refinements and bug fixes. The pirate community has been abuzz about this update for weeks, as Midoki has been dropping teasers about all the new content. New Level 8 Pirate Hall! – This new PH level adds new defenses, walls, resource collectors, and storages, which opens up tons of new possibilities for island design. Chinese New Year Theme – Your island is decorated with candles, firecrackers, floating lanterns and more. Voodoo Hut Level 4 – Upgrade your Voodoo Hut to level four to unlock additional training options for your undead friends. Troop Rebalancing – Some pirates have had their base level stats tweaked to make them more effective from the moment they’re unlocked. Some have new skills and/or abilities. Some have both! Some have had their recruitment time and/or grog costs lowered. Stacked Bases: Walk the Plank! – A recently-discovered bug which allowed players to place multiple buildings and defenses on the same spot, effectively hiding them from view. They have also forcibly reset bases exploiting this bug, and have issued bans for any repeat offenders. No More Disappearing Messages! – The infamous Chat Bug, where messages you send appear for everyone but you, has been fixed!. Refined Replays – Replays have been tweaked to more accurately reflect the events of the actual battle. .
Day/Night Cycle Returns – Due to popular Pirate demand, The day/night cycle is back! But also due to popular demand, players may now disable it, keeping their island (and their attacks) trapped in the light of day. Rank and Matchmaking Tweaks – We’re currently looking at several things about ranking and matchmaking to improve the experience for everyone..
Are we missing a something? Don’t be shy, let us know by commenting below. 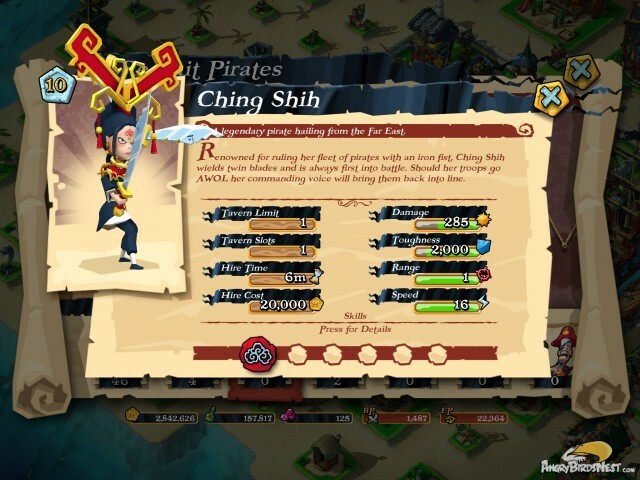 For a limited time you can recruit Ching Shih, “a legendary pirate hailing from the Far East”. Check out her abilities above. Thar she blows! Go download the Plunder Pirates update today and let us know what you think! @xano2323 It’s due out very soon. Hi I reciently tried to updated the game tried even for hours but alas to no avail this is especially frustrating as I have used most of my diamonds on one week of shield which is now useless as I cannot play it could you please offer some help or assistance please thank you. Played this game when it first came out. Opened it back up and the island was destroyed by the flood. It was fun to rebuild and the instructions provide helped to refresh my memory of the game. Now I have to conquer of lands. This is one of those games like Epic that will make an addiction in playing it and hope to later this year. Chat bug not fixed! I’m a new player, just a week or so.For the first time today, both my chat and at least one other player in my guild had the issue where if we wanted to see our chat or requests We had to log out then back in.